How Much Cabinetry Does Your Kitchen Need? 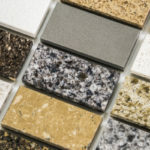 Kitchen Cabinets and Granite Countertops, Pompano Beach FL > Blog > Blog > How Much Cabinetry Does Your Kitchen Need? When planning your Florida kitchen remodel you need to figure out exactly how much cabinetry your kitchen requires. 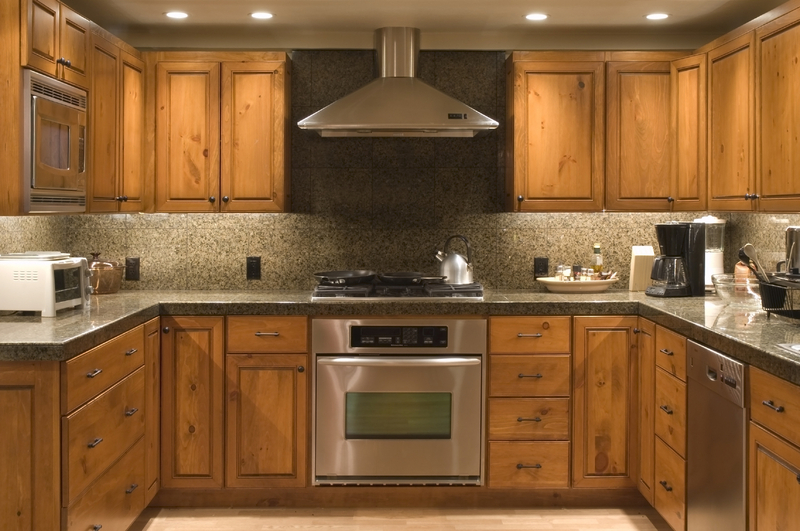 There are a few simple questions to find out how much kitchen cabinetry you need. There is also a proven mathematical equation based on the number of people that live in your house, but first let’s begin with the questions. How Do Your Current Kitchen Cabinets Work For You? 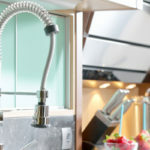 Does everything fit in your cabinets as they are now, or are things spilling out onto the countertops on a daily basis? Or, do you have too many cabinets? Just because all of your cabinets are stuffed to max capacity doesn’t mean they are actually serving any sort of purpose. This is why it’s important to consider how much of the stuff in your cabinets you actually use and how much you could give away and not even miss. Try emptying your cabinets and getting rid of everything you don’t need or has already spoiled. Then organize everything into categories to put away in the cabinet space you currently have. Can you easily access everything that you need to use on a regular basis? If not, that means you need to consider adding additional cabinets. On a regular basis how many groceries do you keep on hand in the house? Do you tend to do all of your shopping for a couple of weeks at once, or do you shop every other day and just pick up a few groceries? The ways that you shop will help determine how much cabinet space you need. How tall are you? Are you left or right-handed? 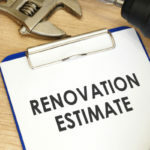 These are all important considerations during a kitchen remodel because they will influence the best decisions for your perfect kitchen. If you are 5’2 it won’t do you much good to have lots of high wall cabinets, but if you are 6’3 super high cabinets are fine for even everyday ingredients. The more people that live in your home equals more cabinet space that you need in order to keep enough food and dishes on hand. In 1934, researches embarked on a study to find an actual equation capable of determining how many kitchen cabinets a particular home requires. As it turns out, this formula is still relevant today. The equation is based on how many bedrooms are in your home, or rather how many people live in your house. Count the number of occupied bedrooms. Then add 2 people to this in order to estimate space for guests as well as the natural accumulation of groceries that occurs in most households. For every person in your house, plus 2, you need 6-square-feet of wall cabinet shelving. The amount of base cabinets you need goes as follows assuming they line the bottom portion of the wall beneath wall cabinets, except where there are major appliances. Kitchens used to be used solely for prepping, storage and cooking, while everyone gathered and feasted in an adjacent dining room. There has been a cultural shift in that people now tend to eat and have dining spaces inside of the kitchen with a special dining room for special occasions. People once had milk, eggs and many other staples delivered to their door every few days. This reliance on fresh produce meant there were fewer things to store at any given time. Now, food products are made to last longer and people tend to stock up on groceries to last at least a week or two. The market for kitchen appliances has grown tremendously, prompting Americans to buy a lot of stuff that needs to be stored, from blenders to mixers to coffee and latte machines. It’s said that Americans wear 20% of the clothing that they own, and it’s plausible to assume that we only use 20%, give or take a little, of the cups, dishes, appliances, pots and pans we store in the kitchen. Just something to think about! An uptick in incomes caused houses to grow larger, that is until the most recent recession. A bigger home translates to a larger kitchen. How Much Cabinetry Do You Really Need? Even though kitchens are bigger than ever, do we really need all of the extra space? The answer all depends on your lifestyle and how you answered the questions at the beginning of this blog. The perfect kitchen is unique to you and your needs; keep this in mind as you determine the appropriate amount of cabinets for your space. 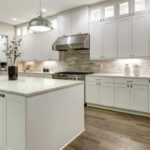 No matter how many cabinets your Florida kitchen remodel requires, Tops Kitchen Cabinet ensures you get the lowest prices on high quality cabinets, countertops and more.